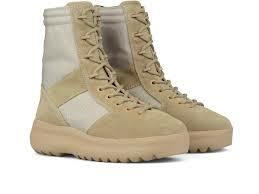 Lace-up military boot from the Yeezy Season Three collection. Nylon + suede upper, tonal rubber sole. Calfskin lining.